Subscribed the deed of purchase of 51% of the shares of the subsidiary INFAPLIC S.A. with registered office in Getafe (Madrid). In the photo the moment of the signing of the agreement with the Deleyto family occurred in the presence of Donato Todisco (on the left) responsible for International Development for the Maggioli Group. The company operates within the Local Tributes in over 500 Ayuntamientos (Municipalities) clients in which its own management software is installed. The company is specialized in the development of software for tax management, web portals, citizen portal, document management integrated with the electronic register, management App for the various related activities. This new acquisition in Spain follows the already acquired company Galileo Ingenieria y Servicios (active for 30 years between the Canary Islands and South America for the modernization of the management systems of the P.A.) in 2016. In these days the contract was signed in Bogotá to realize the SIELOCAL project that will support the Colombian Federation of Municipalities (FCM) in the creation of a system of analysis and supervision of data for Local Authorities: a technologically innovative IT platform that collects all the information economic and financial sources from different sources and that is used to improve the management and transparency of public finance, providing its users with a powerful tool, reports and dashboards. The project, which is financed with resources from the European Union, will be implemented by our subsidiary company Galileo Ingeniería y Servicios (based in Madrid) and will allow us to represent the information collected in an interactive manner, to offer open and public reports from all the administrations. Using ‘big data’ technologies will generate knowledge so that any user can access a wide catalog of information with different indicators. Sielocal is based on economic data, infrastructures and local equipment. At present it has data from 8 countries including Spain’s main country (Spain, Mexico, Colombia, Peru, Paraguay, Uruguay, Ecuador and Chile) and it is working to incorporate information also from Brazil. The latest challenge of the Maggioli Group addresses the European frontier: NEU Newsletter for the European Union aims to offer a source of information on the latest developments in key sectors of European affairs, future activities of EU institutions and important opportunities for financing and subsidies. NEU, fortnightly newsletter entirely in English and totally free, focuses on energy, labour policies, migration, economics, foreign relations, social affairs, requests for tenders and European financing. The NEU portal – www.newslettereuropean.eu – contains all the main editorial sections, a space dedicated to EU projects, also including details on the latest opportunities for EU financing, and obviously all the articles published in the newsletter, which can be received simply by subscribing. In addition to acting as a new informational product of great quality, NEU also has the ambitious objective of offering contents involving Europe and European policies, addressing a varied target of readers and with firm roots in the institutional realities of Brussels, including regional representatives, associations, NGOs, think tanks and other persons involved in the institutions present on the Brussels scene. “We are very proud and pleased to have been able to launch this service, which has a double value for us,” Paolo Maggioli, the Maggioli Group CEO tells us. “On one hand, in fact, this is a newsletter entirely in English that is sent to about 2000 European recipients, helping to further consolidate the Maggioli brand name throughout the continent. On the other, it is important because it further enhances the contents and value of our traditional services on the market of Italy’s local and central public administrations”. Light + Building is the world’s leading trade fair for lighting and construction services technology. The digital future meets the hotspot of design: Light + Building addresses the themes of the future. From 18 to 23 March more than 2,600 exhibitors are presenting their innovative products in the field of lighting, electrical and building engineering and building automation in Frankfurt am Main. The Maggioli Group will take part in the Frankfurt worldwide exhibition with the skilled offer of APKappa, the new company born on 01.01.2018 from the merger of APSystems with StudioK, operating in the IT markets for the PA, smart lighting, smart metering and more in general of smart city solutions in Italy and abroad. At Light + Building 2018 APKAPPA will exhibit the integration of the Internet of Things with its smart lighting platform, called Luminibus. This offer not only allows to remotely manage public lighting systems but also to activate more and more services, useful for citizens and the territory, achieving significant results/ with significant achievements on energy, economic and environmental savings. Remote management, energy and economic savings, improvement of smart lighting and smart city services: this is Luminibus and all of this will be exhibited in Frankfurt. HALL 4.1 STAND A.49 – Frankfurt Messe (D) from 18 to 23 March 2018. Presentation in Bogota of the project “Analysis and Design of unstructured data to provide intelligence to the accounting decision making” for the Colombian Government. The project is the work of Galileo Ingeniería y Servicios, controlled by the Maggioli Group. On January 24, the presentation of the project “Analysis and Design of unstructured data to provide intelligence for accounting decision-making” took place in Bogotá, at the headquarters of the Colombian National Accounting Office. The project, carried out by the computer engineers of Galileo, a company of the Maggioli Group, is financed by the Swiss Cooperation Fund and in collaboration with the Ministry of Finance of Colombia. It should be remembered that, since 2016, the Maggioli Group controls the Spanish company Galileo, based in Madrid and Tenerife. The company has a turnover of 2 million euros and is specialized in the management of the cadastre and territorial data for Local Administrations. 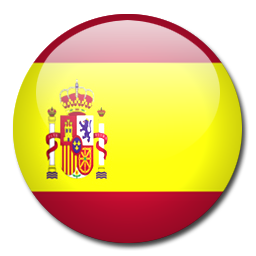 In addition, Spanish society offers its services in the areas of “good governance”, “institutional strengthening” and ” modernization and municipal decentralization “. In this context, he has carried out projects in Mexico, Venezuela, Panama, Guatemala, Cape Verde, Senegal and Morocco. “Galileo, the Iberian company, has interesting projects in Latin America, especially in Colombia, which will gradually take place,” said CEO Paolo Maggioli. The Maggioli Group will be present at the Smart City Expo in Barcelona, ​​Recinto Gran Vía, Hall 2, Level 0, Stand N. F 659, together with the acquired APSystems and the newly-controlled Spanish Galileo Sa and , with its innovative solutions dedicated to Smart City and a wealthy a series of innovative products and services for Metropolitan Cities and Local Authorities. The World Congress of Smart City Expo, organized by Fira de Barcelona, ​​scheduled from November 14 to 16, recorded a rise of 30% of exhibitors (591) in 2016 and involved over 16,000 participants who shared development experiences urban. The event focused on the latest edition on strategies and tools available to promote citizen empowerment and greater involvement and participation in municipal processes and projects. Barcelona will become the indisputable capital of urban innovation. Cities, companies and experts from around the world will be exchanging ideas and projects intended to improve living conditions for all our neighbours. Barcelona is the capital of creativity and innovation in many areas, but particularly in the field of smart cities. We are committed to e nsuring technological progress helps us meet the major challenges facing cities today: an ageing and growing population; the fight against climate change; the transition to new forms of sustainable mobility; the right to housing, education and health; and the challenges, yet they undoubtedly require local solutions, where innovation, talent and technology will play a very important role. In this context, Maggioli Group through its technological partner A.P. Systems, is one of the world’s leading manufacturer of hardware devices for collection and transmission of data from/to meters via wireless networks and/or powerline communication. APYLink devices are used in the Smart Metering systems of the main operators in Italy and abroad and connect to the management systems and billing meters more than 20 million customers. In addition, Maggioli Group offers to public service providers, as well as local authorities, a Smart City platform that allows public services management through IoT devices/sensors. First of all, this platform integrates Smart Lighting solutions that optimize consumption and in general public lighting service. But also Smart Metering, systems are used in power distribution networks, where Italy has always played a leading role thanks to the foresight and proactivity that Enel Group has always demonstrated. Maggioli Group, the leading Italian company with the widest and most qualified range of products and services for the Local Public Administrations, has acquired the majority shares of A.P. Systems, based in Magenta (Milan), an Italian software house specialized in the development of IT solutions and advanced telemanagement systems that can efficiently improve the quality of services of the Local Authorities. A.P. Systems, with € 10 million revenues in 2016 and 90 employees, has been designing ICT systems for Local Public Administrations and Public Utilities (both national and International) for more than 30 years, aiming at the energy efficiency and management of public lighting systems, the application of smart technologies to public services and the optimization of machine-to-machine (M2M) data communication in electricity, water and gas distribution networks. With this acquisition, Maggioli Group consolidates its role of Reference Partner for Local Public Authorities in providing software development, maintenance, consulting, and outsourcing services to bring the Public Administrations towards full digitation. Maggioli Group has always fostered initiatives for the evolution of ICT and Knowledge base of Local Public Administrations. The internet and digital technologies are transforming our world. But existing barriers online mean citizens miss out on goods and services, internet companies and start-ups have their horizons limited, and businesses and governments cannot fully benefit from digital tools. It’s time to make the European Single Market fit for the digital age – tearing down regulatory walls and moving from 28 national markets to a single one. This could contribute €415 billion per year to our economy and create hundreds of thousands of new jobs. The mission of Maggioli responds perfectly to the requests of a market in constant transformation and increasingly looking for reliable partners, to offer Italian and foreign public organizations services and products of excellence to promote innovations in technologies and processes. Maggioli Group is organizing a very important event at the European Parliament (30th May 2017 / 12:00 – 13:00), titled: “Public Administration in the Digital Single Market”, co-hosted by MEP Elisabetta Gardini, MEP Therese Comodini Cachia and MEP Fulvio Martusciello. Maggioli Group has actively participating in various INA-SAIA projects (Index of National Registries – Access System for Registers Exchange) involving about 2.000 municipalities and facilitating the transformation toward ANPR (National Population Register). Our products have strong interoperability with all Regional Identity Providers and we are engaged in experimenting with SPID (public system for digital identity), and in the future towards European eID (Stork). We provide a full adherence to national projects for document management (DocER, CRIPAL). We are helping some cities in the design that will lead them to turn from urban cities to metropolitan cities. In this step, the Municipality has to make its administrative procedures interoperable with other players managing Utilities such as: Transport, Energy, Water, etc. The resulting experience could be scaled to a national and international context, by proposing these projects as part of the European research and innovation programmes. Maggioli Group increased its capital stock in Galileo S.A., based in Canary Islands, specialized in the management of the land register of the Local Public Authorities, which led to the control of the company. The acquired company will join the foreign branches in Belgium (Brussels) and Albania (Tirana). The growth opportunities through M&A are becoming a reality in Maggioli. Two weeks ago, the company launched a binding offer to acquire another Spanish company, based in Barcelona; and sets his sights on a third company, based in Madrid, to become the majority shareholder: both companies offer IT services for municipalities and the market of the Iberian public administration is considered very promising. A new EU research project entitled UNICORN – A Novel Framework for Multi-Cloud Service Development, Orchestration, Deployment and Continuous Management Fostering Cloud Technologies Uptake from Digital SMEs and Startups, funded from the European Union’s Horizon 2020 research and innovation programme (Call H2020-ICT-2016, Grant Agreement No. 731846), was launched. The project with duration of 36 months (1 Jan 2017-31 Dec 2019) and a total budget of € 4.2 Million brings together 11 leading European research/academic institutions, industries and SMEs in the field of cloud and software technologies from 8 EU member states (Belgium, Cyprus, Germany, Greece, Italy, Spain, Sweden and United Kingdom). The overall objective of the project is to simplify the design, deployment and management of secure and elastic – by design – multi-cloud services. This will be achieved by a) developing and design libraries that will provide security enforcement mechanisms, data privacy restrictions, monitoring metric collection and resource management; and b) enabling continuous orchestration and automatic optimization of portable and dynamic cloud services running on virtual instances or micro-execution containers for increased security, data protection privacy and vast resource (de)-allocation. Towards this end, and building upon this umbrella concept, the UNICORN vision can be considered two-fold: to enable software developers to design and develop secure and elastic applications and to increase the awareness of all stakeholders, in particular SMEs and Start-ups.